There’s Kindles and laptops and video games and smart phones and every other device available out there but the wonderful thing is that libraries are still as popular as ever. With a wide selection of seasonal reading selections, a trip to the library provides hours of entertainment for kids and parents during school vacation over the holidays. 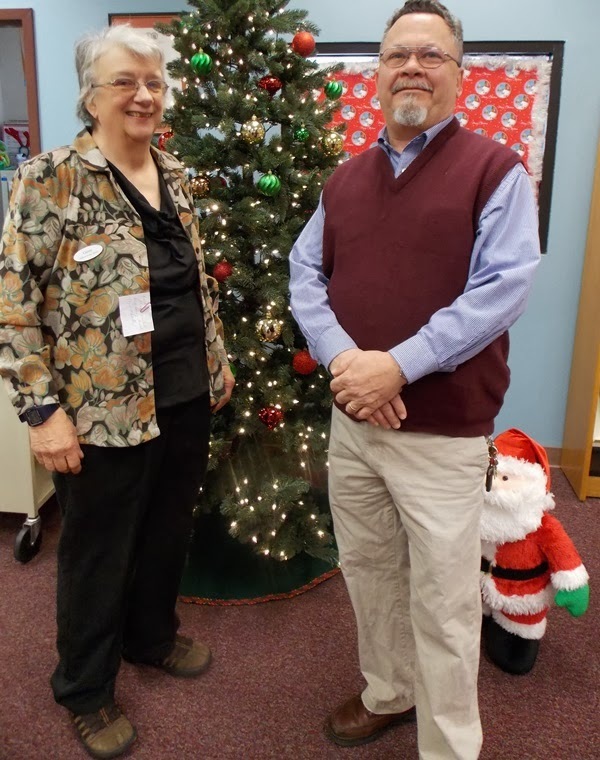 These two dedicated folks run two of the three western Augusta County Library branches. Ginny works at the Deerfield library branch and Jack at Churchville. 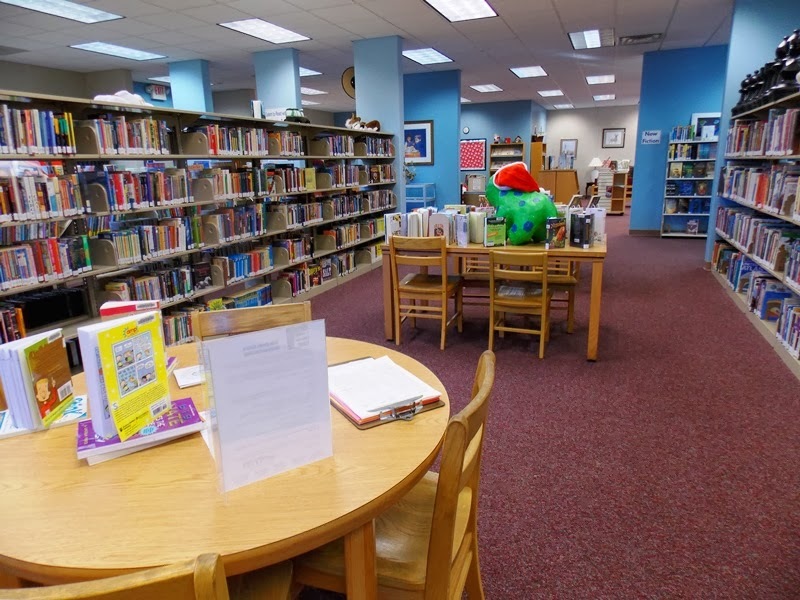 The library also provides internet access, in-house computers, DVDs, children’s programs, craft time, genealogy research, workshops, job help, meeting rooms, and much more. 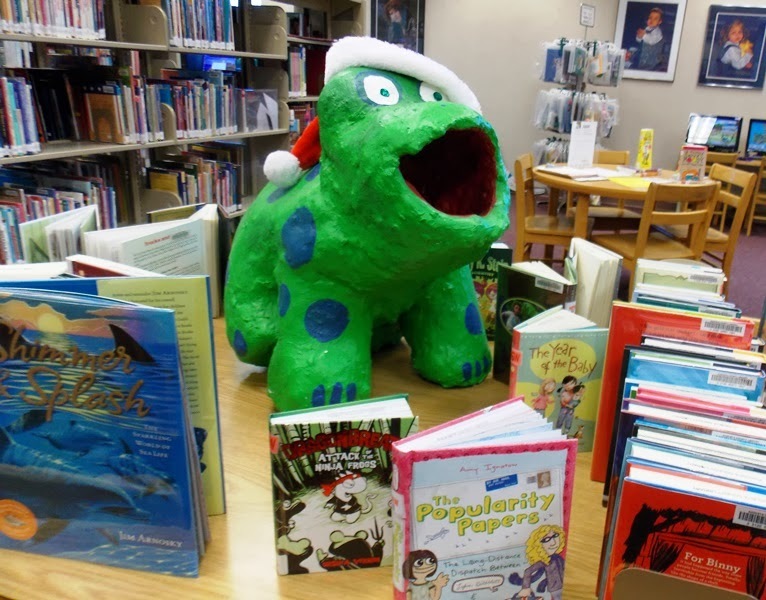 This ever-popular, colorful baby dinosaur — decked out for the holiday season — was made by Augusta County Library Board member Kurt Michael and his son about six years ago as a “son” to “Lucy,” the larger-than-the-kids dinosaur that has resided in the main Fishersville branch of the library for 20 years. 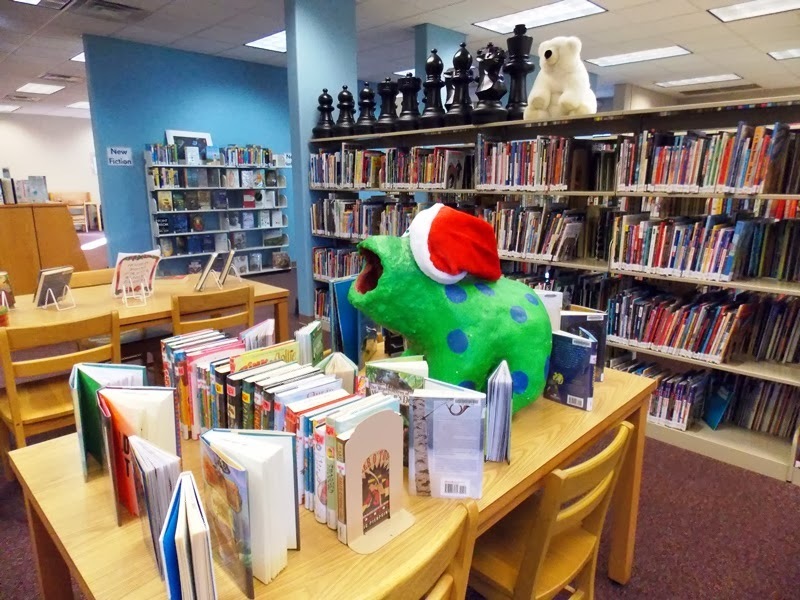 This little fella likes to visit the various library branches and spread joy to the kids who shower love on both dinosaurs. The main library and branches will be closed Christmas Eve and Christmas Day, December 24 and 25, so stop by soon and find your holiday entertainment to enjoy during vacation. Merry Christmas and Happy Holidays!